At the heart of this remarkable novel is Thomas Greene Wiggins, a nineteenth-century slave and improbable musical genius who performed under the name Blind Tom. 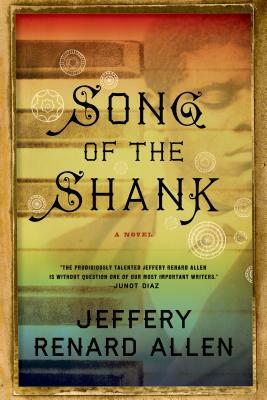 Song of the Shank opens in 1866 as Tom and his guardian, Eliza Bethune, struggle to adjust to their fashionable apartment in the city in the aftermath of riots that had driven them away a few years before. But soon a stranger arrives from the mysterious island of Edgemere—inhabited solely by African settlers and black refugees from the war and riots—who intends to reunite Tom with his now-liberated mother. As the novel ranges from Tom's boyhood to the heights of his performing career, the inscrutable savant is buffeted by opportunistic teachers and crooked managers, crackpot healers and militant prophets. In his symphonic novel, Jeffery Renard Allen blends history and fantastical invention to bring to life a radical cipher, a man who profoundly changes all who encounter him. JEFFERY RENARD ALLEN is the author of the novel Rails Under My Back and two collections of poetry. Allen was born and raised in Chicago. He teaches creative writing at Queens College/CUNY, and his awards include a Whiting Award.